Last Saturday was a memorable day! We got to go on a free fall cruise to Spectacle Island. 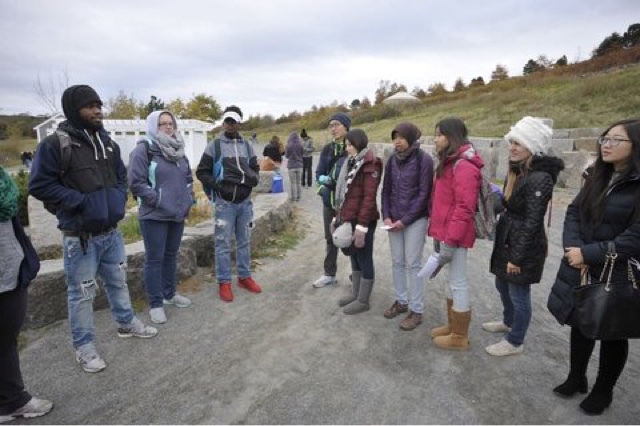 Although it was windy and cold, it didn't stop people from exploring the amazing island. Roughly 250 people showed up to spend the day with us. 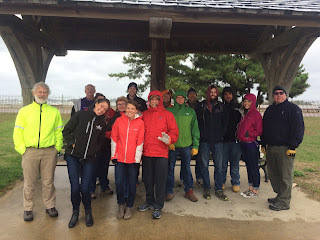 It was really fun and I got to re-unite with the staff from the summer program. We got to tell stories to the visitors with the help of Norah Dooley and we played a game called "Two Truths and a Lie" where you tell two things you did this summer, two things are true and one is a lie and people have to guess which one is the lie! When we got off the boat, everybody went on to do their own thing from picnicking on the grass to hiking to the top of the island. 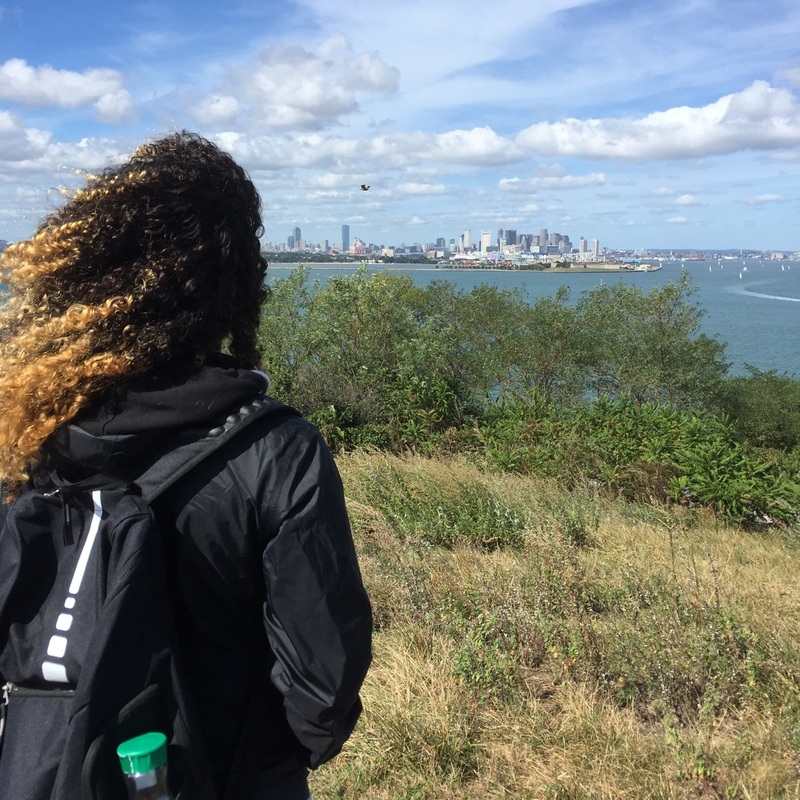 We followed Norah Dooley to the top of the island where she told stories about ghosts on Boston Harbor. Everyone was really interested in what she had to say and it was really cool to learn about ghost stories that take place right in Boston. Overall everybody had an amazing time and I'm really glad I got to be part of it again. Please join us on Saturday, October 24th for our final free fall cruise of 2015 to Spectacle Island. 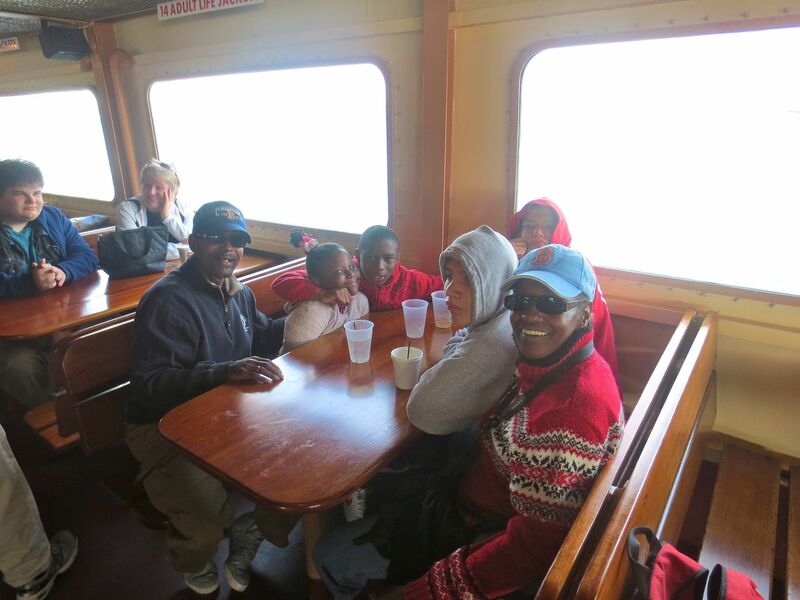 The snack bar on Spectacle Island will be closed for the season, but the snack bar aboard the Provincetown II will be serving snacks and drinks. You are also welcome and encouraged to bring a picnic lunch, but please remember that the Boston Harbor Islands have a “carry-on, carry-off” policy. Please bring a bag for your trash, and remember to dress in warm layers, as the weather is often a bit cooler and breezier on the water and the islands! Mass Humanities scholar and storyteller Norah Dooley will join us as Mary Read the Pirate. 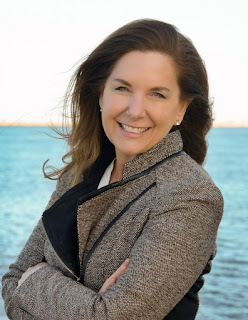 She will share her stories of Boston Harbor's past and encourage you to share your stories as well. Thanks to our partners at the National Park Service, who are celebrating their 100th Anniversary, for helping to make this free fall cruise possible and for encouraging all of us to find our park and share our stories. 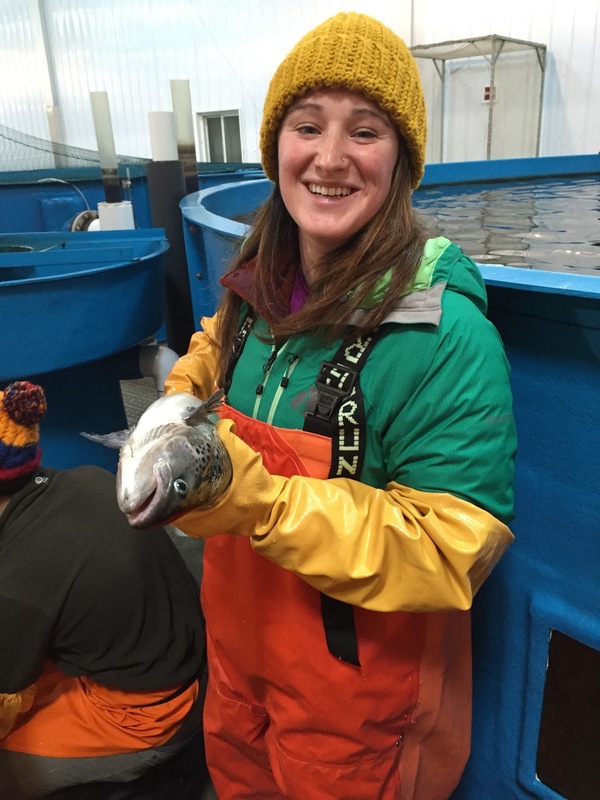 Thanks to our partners at the Department of Conservation and Recreation and Bay State Cruise Company. Thanks as well to all our youth and beach program funders for their support. 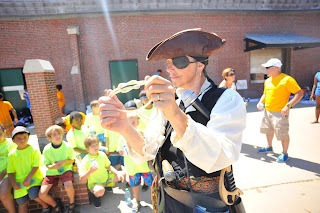 Hope to see you on Boston Harbor on the 24th! P.S. 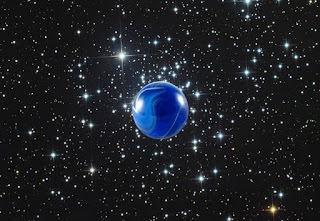 Find a blue marble on Spectacle Island - or any beach from Nahant to Nantasket - and you could win a pair of round trip flights on JetBlue to any domestic destination they serve from Boston’s Logan Airport as part of the 2015 “Simply Marble-ous” Treasure Hunt! Take a picture of yourself with a marble and email it to info@savetheharbor.org with your name, neighborhood, and contact information to enter the contest. You can also buy a Virtual Marble online today for just $10 for your chance to win. The winner will be chosen on October 31st. 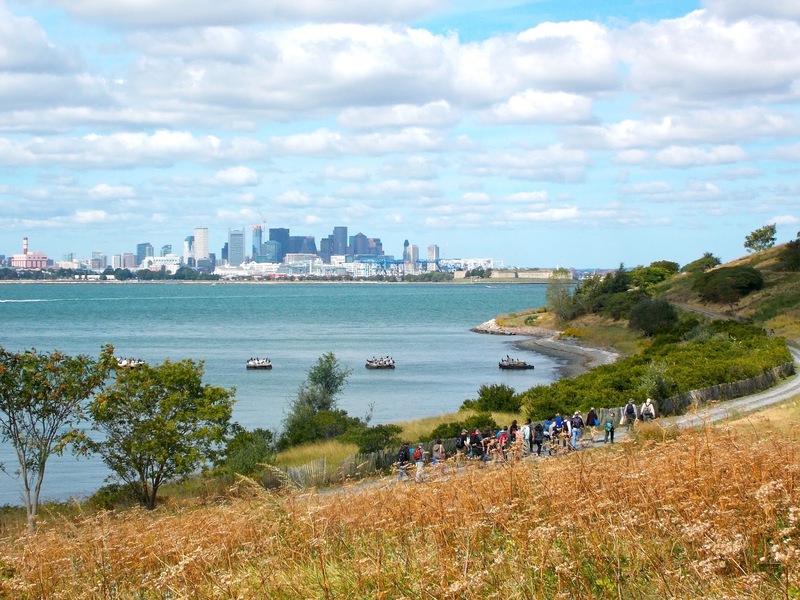 To find out more about Save the Harbor/Save the Bay and the work we do to restore and protect Boston Harbor, the Boston Harbor Islands and the region’s public beaches from Nahant to Nantasket, visit our website. To find out more about our free beach and island programs read our blog Sea, Sand & Sky and follow savetheharbor on Facebook and Twitter. Save the Harbor is grateful for Partnership Grants from Forrest Berkley & Marcie Tyre Berkley, Blue Cross Blue Shield of Massachusetts, Boston Properties – Atlantic Wharf, The Chiofaro Company, The Clowes Fund, Marion L. Decrow Memorial Foundation, Alice Willard Dorr Foundation, Eastern Salt Company Inc., The Fallon Company, Hampshire House Corporation – Cheers for Children, John Hancock Financial Services, Inc., Mass Humanities, Massachusetts Bay Lines, Massachusetts Port Authority, National Grid Foundation, P&G Gillette, William E & Bertha E. Schrafft Charitable Trust and Mark Wahlberg Youth Foundation. Save the Harbor also appreciates funding support from 3A Marine Service, Arbella Insurance Group Charitable Foundation, Andus Baker & Rowan Murphy Family Fund, Bay State Federal Savings Charitable Foundation, Blue Hills Bank Pavilion, BOMA Boston, Boston Bruins Foundation, Boston Global Investors, Breckinridge Capital Advisors, Andrew J. Calamare, Camp Harbor View Foundation, Carnival Foundation, Circle Furniture, The Daily Catch Seaport, Eastern Bank Charitable Foundation, Paul & Phyllis Fireman Charitable Foundation, Thomas & Lucinda Foley, Legal Sea Foods, Ms. Wallace M. Leonard Foundation, Mass Bay Credit Union, HYM Investment Group Inc., Sherry & Alan Leventhal Family Foundation, Lovett-Woodsum Foundation, Massachusetts Water Resources Authority, National Park Service, Nicholson Foundation, Randy Peeler & Kate Kellogg, Reebok Foundation, Rockland Trust – Peoples Federal Foundation, Skanska, South Boston Community Development Foundation, Spectra Energy, Lawrence J. & Anne Rubenstein Foundation, Senior Housing Property Trust, South Boston Community Development Foundation, Storm Duds, Matthew J. & Gilda F. Strazzula Foundation, TD Bank Charitable Foundation, UDR, and Kyle & Sara Warwick. 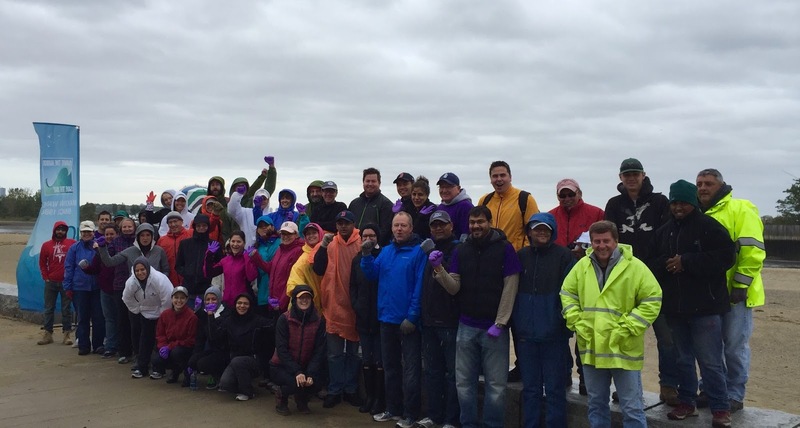 Vertex Pharmaceuticals Cleans Up Dorchester's Beaches! On Friday, October 2, two teams from Vertex Pharmaceuticals in South Boston joined Save the Harbor/Save the Bay and the MA Department of Conservation and Recreation for a blustery day of corporate citizenship on two area beaches. 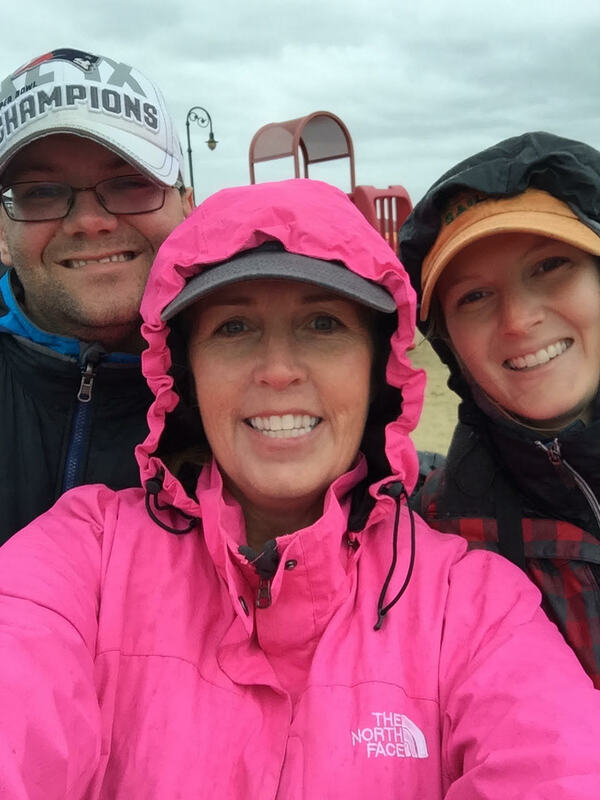 The stormy weather didn’t affect productivity as the energetic "Vertexians" removed truckloads of debris, weeds and overgrowth and cleared pathways, sidewalks and playgrounds along Tenean Beach and Malibu/Savin Hill Beach in Dorchester. 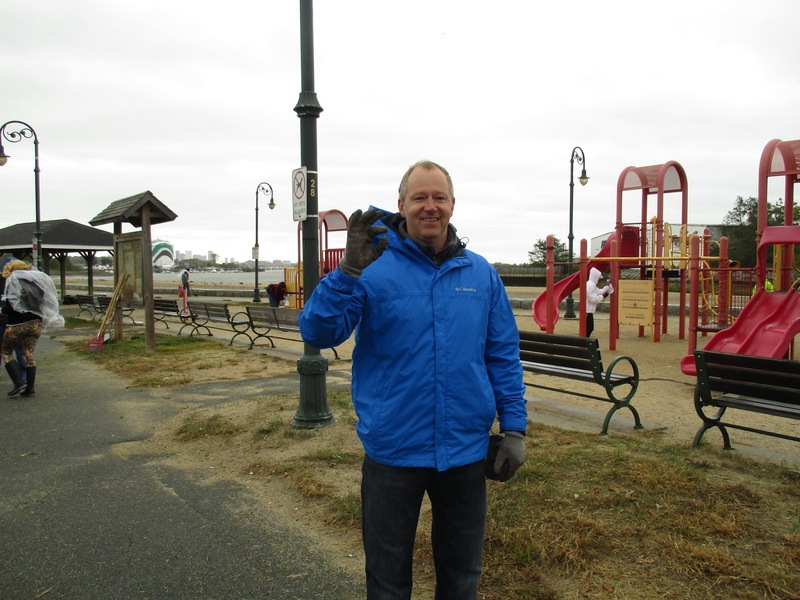 The morning crew of 40 Vertex volunteers removed a total of eight tons of trash and vegetation from Tenean Beach and the surrounding playground, parking lot, and access road—making such an impact that residents have already made phone calls to praise the crews’ results. 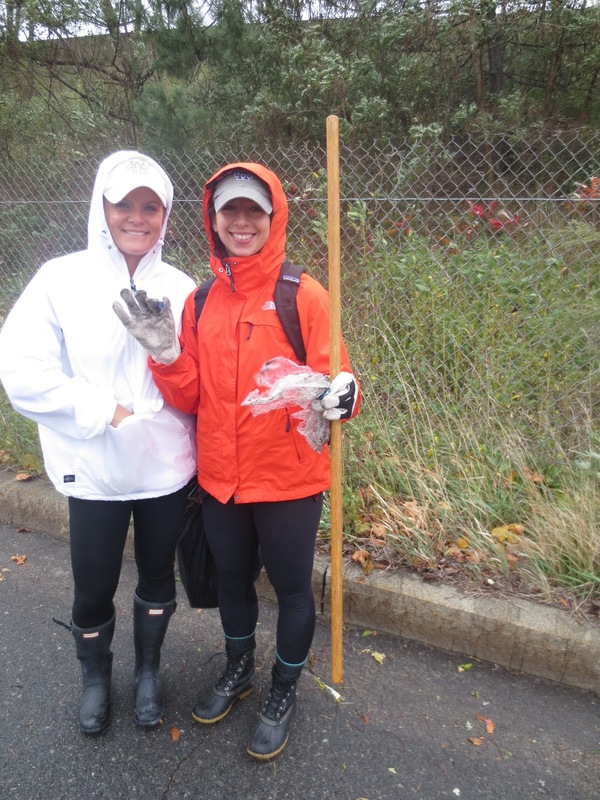 Tracy Koval of Beacon Hill and Marielle Gonzalez of South Boston helped to clear brush from the fence lining the access road to Tenean Beach. Marielle noted, "I love the beach-- I went to the beach so much more this summer after learning about the great water quality!" Mike Patridge of Concord found his marble on Tenean Beach during the morning's activities. 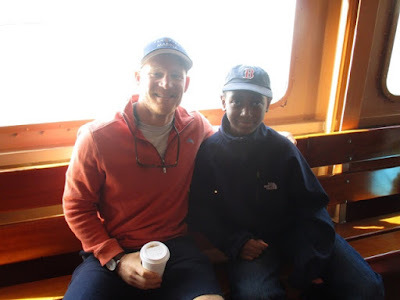 Growing up in Newton, his father would often take him birding in Squantum, which connected him to Boston Harbor from a young age. The afternoon crew of 25 braved the wind, rain and rising tide at Malibu Beach and removed nine tons of debris and vegetation from the boardwalk, concrete path, and along the opposite side of Morrissey Boulevard used most often by boaters. Paul Dubois of Wakefield, Steve Migausky of the South End, and Paige Goodwin of the Fenway area are lawyers at Vertex. They spent the afternoon clearing large amounts of debris and trash from the boat ramp area across Morrissey Boulevard from Malibu Beach. 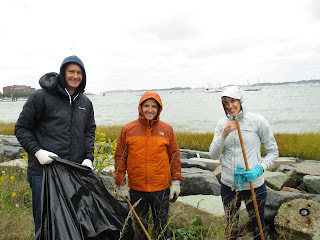 Save the Harbor/Save the Bay staffers Charlie Lagasse of Newburyport, Sue Woods of South Boston, and Amy Gaylord of Dorchester were on hand to help volunteers from Vertex pharmaceuticals remove 17 tons of trash and debris from Dorchester's beaches as part of the Vertex Day of Service. Save the Harbor Vice President Susan Woods was impressed but not surprised by what the teams from Vertex accomplished. Thank you to Vertex Pharmaceuticals and all of the individual volunteers who participated in the service day! Save the Harbor/Save the Bay and the Department of Conservation and Recreation appreciate the hard work put in to improve the local community. Last Saturday, I did something I've never done before and that was visit a harbor island outside of the summer. Although I was working, I still had never gone to Spectacle Island in the fall. It was nice to take a break from school and link up with some friends and take about 360 people out to the island. I went around to many tables asking if people had ever been to an island with us and many said yes. It was nice to know that we left a good impression on them about the harbor, enough for them to want to take the trip with us again. A family I hung out with for most of the trip was the Cox family. She came out with her brother and 4 nephews. She was from Waltham and the rest of her family was from Roxbury. She had came a longer way to show her family a nice time in the islands. She had came with us before but she had visited George's Island and this would be her first time on Spectacle. They were very intrigued by treasure beach as they lasted almost half on hour searching for sea glass. Then they went to the top of the hill and took many pictures of the view. I enjoyed going to the top of the hill again since I hadn't been up there all summer and wanted to remember the feeling. This past weekend I was given the opportunity to go on one of the fall cruises. I met brothers from the Big Brother Big Sister organization. The big brother was very familiar with Spectacle Island whereas his little brother was not. On the boat Daynaja and I being to talk to them and ask about their year so far. The younger brother was very quiet and seemed quite kind. We spoke about the view from the top of Spectacle and it turned out that D had never been to the top. So as soon as we got off of the boat we all began our hike up to the top. While walking I learned that they had been many places together and that they were trying their best to bond. At the top we parted ways and D and I began to take an array of pictures to commemorate her hike to the top. All in all it was great to be back on the boat and island even though it was freezing outside. I had a great time on Spectacle Island. The views were beautiful and mind blowing. That was my first time on Spectacle Island and I enjoyed it very much. I was happy to see some of the staff that I worked with during the summer. To see all the families smiling and having a great time just made that day even more special. 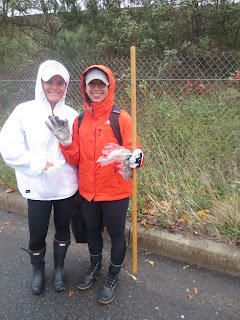 I'm glad that I had the opportunity to be back with the Save the Harbor Save the Bay. I also had a great time meeting new people. This past weekend, I had to the opportunity to come back to Save the Harbor and go on Spectacle Island for the first time in the fall season. I really enjoyed it and got to re-unite with some of the Save the Harbor staff ( Kelly, Amy, D, Jayda and Ivan). The weather was beautiful, although it was a little bit chilly but it didn't stop us exploring the beautiful island. I got to meet some new people and we went on hiking, and for the first time, I got to see the top of the peak of the island. After the hiking, we got to eat some of Bruce's Blue fish Pate, which was good. It was a really fun and I was glad to be part of it. 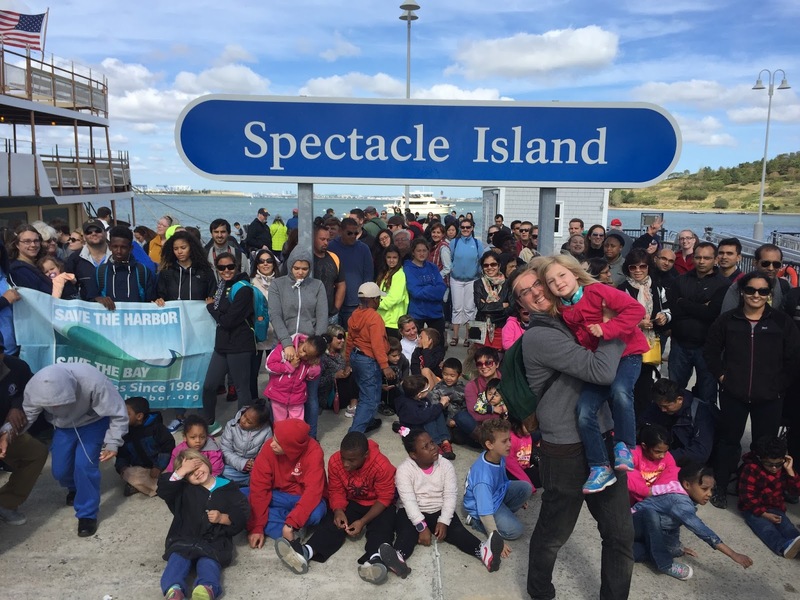 On Saturday, September 26th, 360 people visited Spectacle Island aboard Bay State Cruise Company’s Provincetown II for Save the Harbor/Save the Bay’s first free fall cruise of the 2015 season. Sunny skies and temperatures in the 60's provided perfect weather for hiking the trails and hunting for artifacts on Treasure Beach. Mass Humanities Scholar and award-winning storyteller Norah Dooley shared stories of Boston Harbor's history as Mary Read the Pirate, and helped island visitors search for treasure. She will join us again in October for our second free fall cruise of the season on October 24. 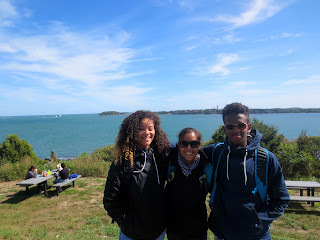 Save the Harbor high school staffers Daynaja Depina of Dorchester, Jayda Chandool of Mattapan, and Abdullahi Abdi of Roxbury welcomed cruise participants and enjoyed the view from the top of the North Drumlin. 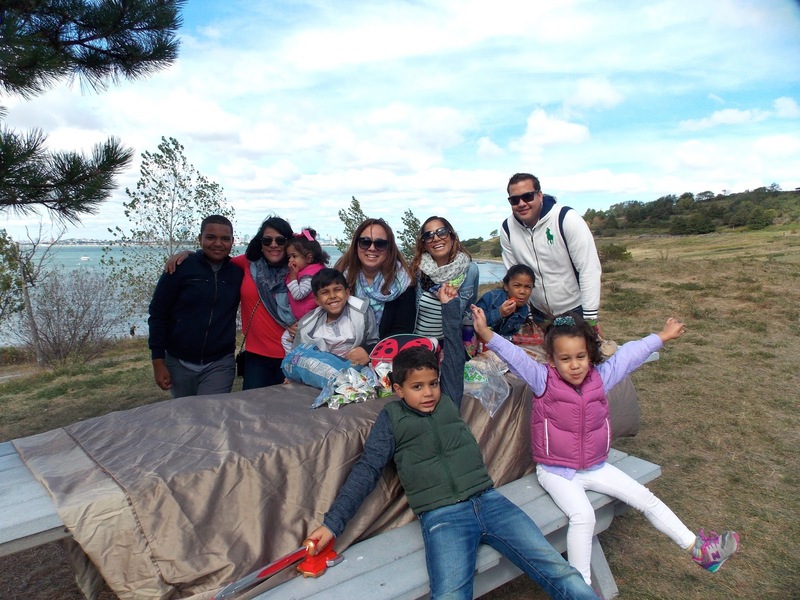 The Santos family from Lawrence, and the De Los Santos family from Ashland, enjoyed a picnic lunch on Spectacle Island. Some lucky treasure hunters found JetBlue marbles and entered the “Simply Marble-ous” Treasure Hunt for a chance to win a pair of round-trip JetBlue flights to any domestic destination they serve from Boston’s Logan Airport! Keep an eye out on Boston’s beaches for a blue marble of your own—we will accept entries until October 31st—just send us an email at info@savetheharbor.org with a photo of yourself with your marble, your name, neighborhood, and your contact information! 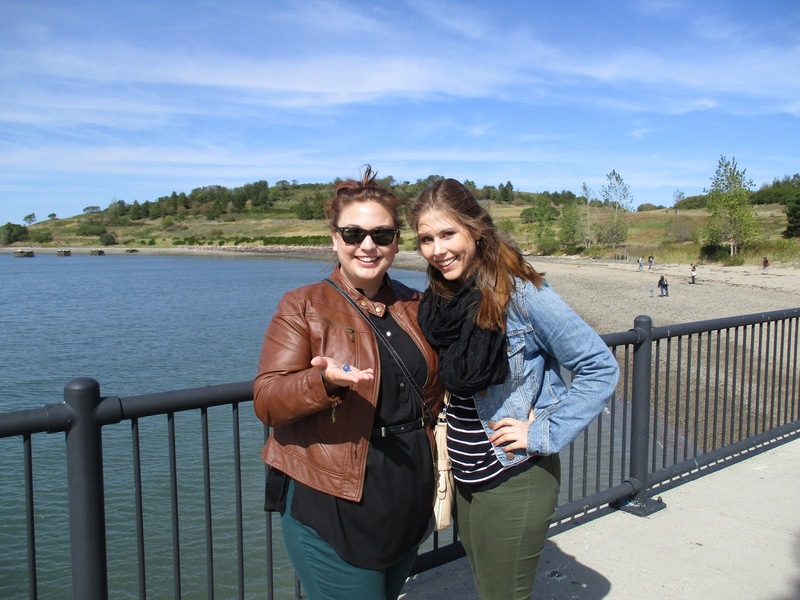 Nataly Wickham and Kristin Fahning, opera singers and students at the New England Conservatory, enjoyed taking advantage of a free opportunity to see Boston from a new perspective. 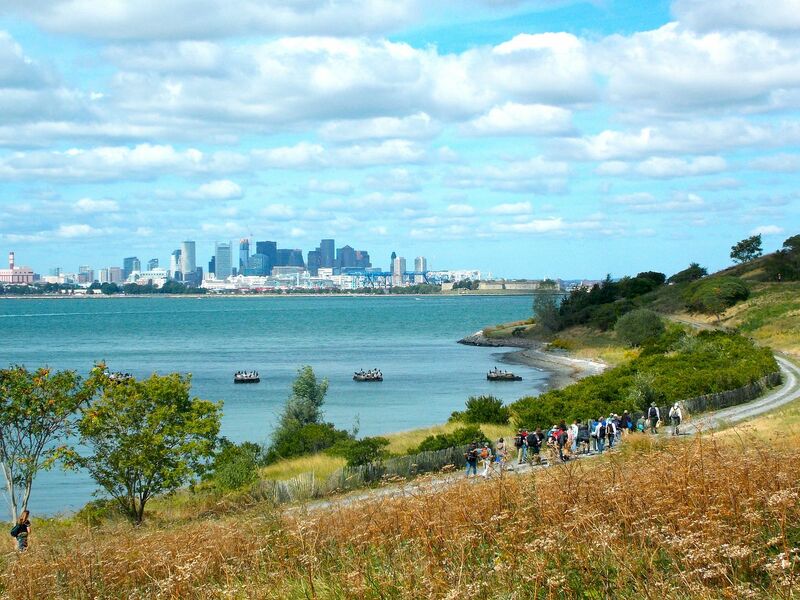 Save the Harbor/Save the Bay will host one more free fall cruise to Spectacle Island this year on October 24th to celebrate the end of another great season on Boston Harbor. If you would like to join Save the Harbor/Save the Bay on the 24th, please RSVP to Gaylord@savetheharbor.org.